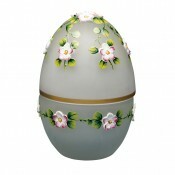 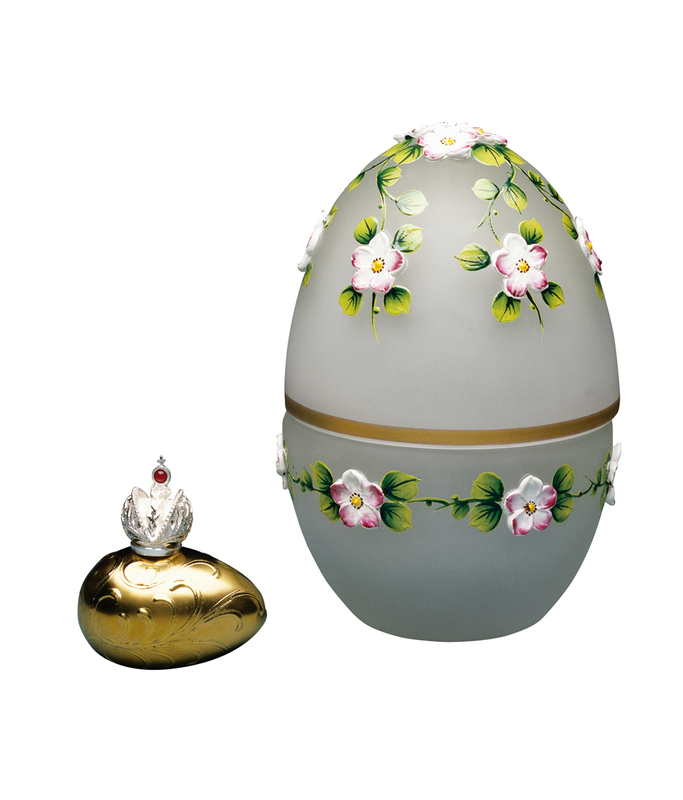 Seeks to unravel the mystery of the egg and its symbolism of life and rebirth. 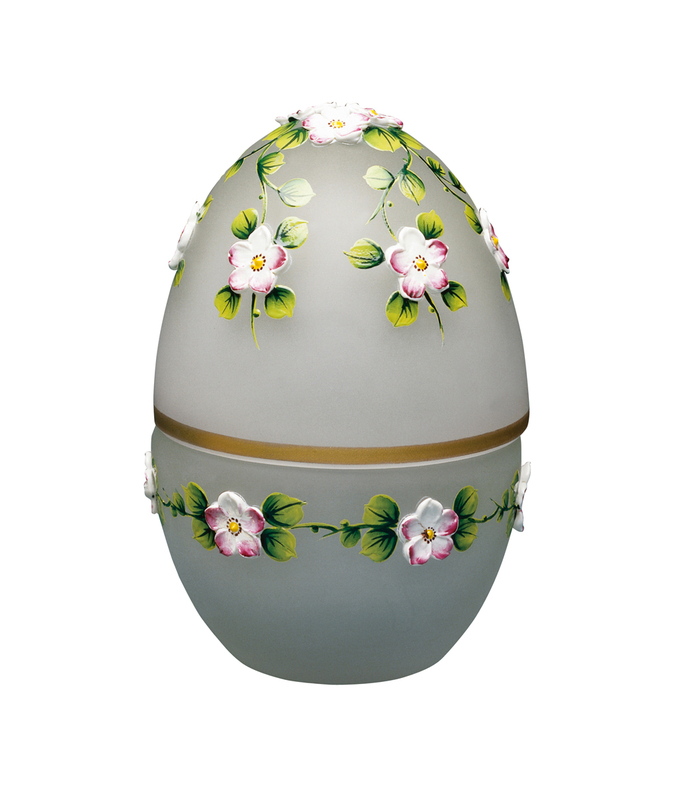 The delicate, hand painted enamelled spring flowers raised from the crystal surface express the regeneration of nature after winter, when the land will once again blossom and bear fruit. 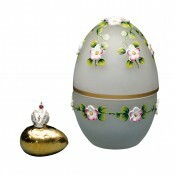 The surprise is a golden yolk upon which is set the Imperial Crown in sterling silver which reveals a hidden compartment.